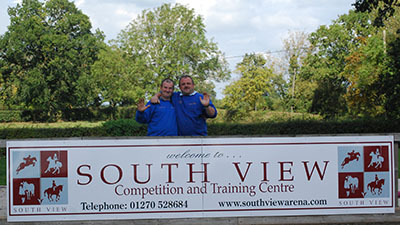 The 2011 Potential Jumping and Eventing Championships were held as part of the 2011 IPS Auction and took place on Sunday 18th September at South View Competition & Training Centre, Cheshire. 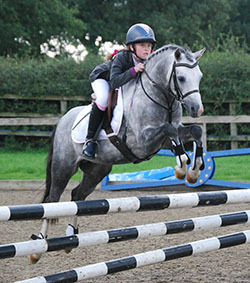 The classes were both open to 4, 5 and 6 year old ponies up to and including 148cms (149 cms with shoes) in height and riders could be any age. 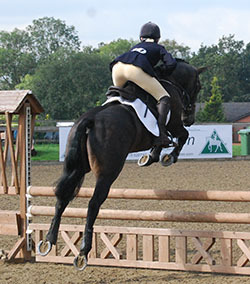 Although less ponies were entered than hoped for, both the Jumping and Eventing judges agreed that the top ponies were top quality and had exciting futures ahead. 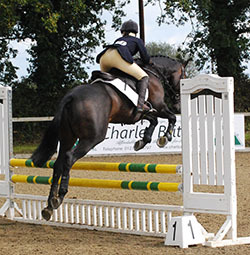 Excitingly, most ponies, including both the Eventing and Jumping Champions and Reserves were British-bred. Unless otherwise credited, all photographs are by kind permission of Hannah Owen. No pictures may be copied without the permission of the photographer. 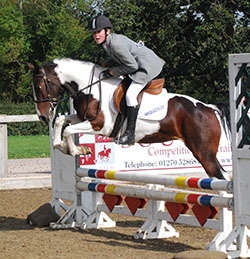 D&J Saddlery for donating a £50 Voucher for the highest scoring Native Pony in each of the Eventing and Jumping Championships. 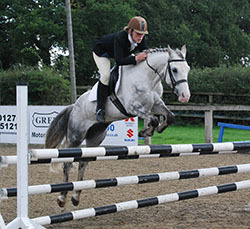 Mostyn Farm Ride for donating a voucher to both the Eventing Champion and the Jumping Champion. Acre House Equestrian for giving headcollars to each of the Champions and Reserves. 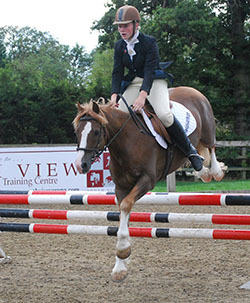 The results of the class were determined on a score basis with the dressage score being added to the jumping score. 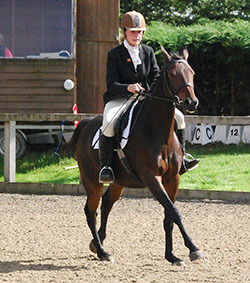 The dressage score consisted of a mark for each pace and a further mark for attitude and balance. 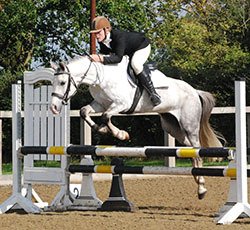 The jumping score was calculated by 5 points being allocated for each of the 8 fences cleared as well as marks for the pony’s Technique, Athleticism and Temperament. 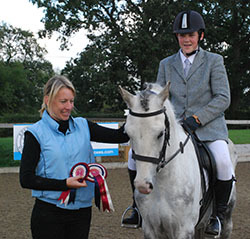 The first and second placed ponies in each class went forward to the Championships, where Linda asked the riders to show their ponies galloping (as this is a key attribute for a successful eventer) and she took this into consideration when selecting the Champion and Reserve. More information on how the class was judged can be found here. 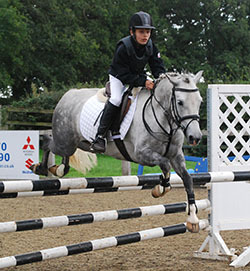 Overall Eventing Champion was the 5 year old section winner, British-bred Carnsdale Sunnyside, ridden by 12 year old Ant Woodbine. "Sunny" and Ant had the highest dressage score then did a stylish clear round and the judge, Linda De Matteo, commented afterwards that Sunny was "an outstanding young pony with huge potential and an exciting international event pony prospect. Beautifully ridden and produced". 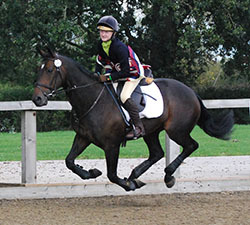 Ant has been bringing Sunny on slowly this season with the aim of doing some dressage and show jumping over the winter then starting British Eventing next year. The dressage phase of this competition was only their second dressage test so far as well as just the second time Sunny had been in an indoor arena. 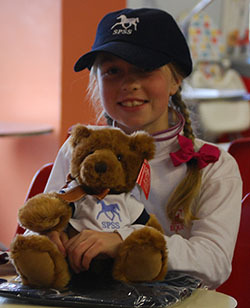 As Ant was the youngest rider in the Eventing Championships, she was presented with a SPSS Teddy. 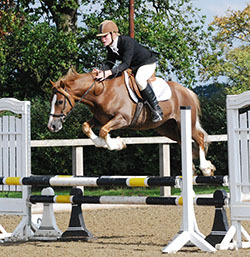 Sunny was bred by Mr A E Bewley and is an Irish Sport Horse by MJ Fine Art (Irish Sports Horse) out of a TB mare by Looking Glass. 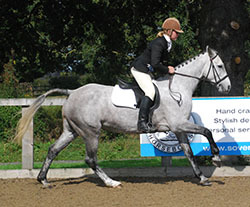 Sunny's sire, MJ Fine Art competes at Grand Prix dressage and has won over 500 British Dressage points. 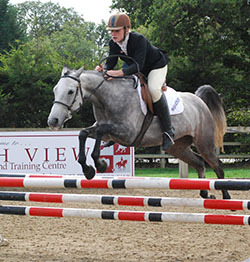 The Eventing Reserve Champion was another British-bred, 6 year old Morrigan Mahraid ridden by her owner, Robyn Harris. Morrigan Mahraid, known as "Mary", was second in the 6 year old section but then impressed Linda when asked to gallop in the Championships so moved up to stand Reserve Champion. 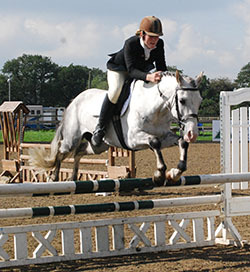 Mary was bred by owner's family's Morrigan Stud and is a part-bred Connemara by Kilmullen Fionn (Connemara). 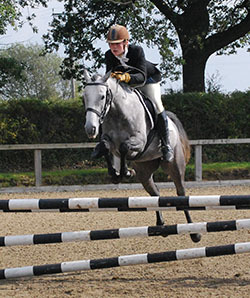 Mary's dam, Morrigan Lucy Too is a Part-bred Welsh Riding Pony by Telynau Pavarotti who evented at Intro and Pre-Novice levels. 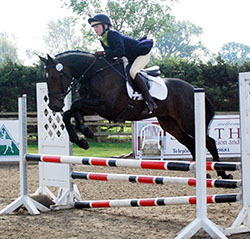 Since having a foal in 2010, Mahraid has been brought on by Robyn and this year, they have competed at British Eventing at BE90 and BE100 levels, being placed 7th in a BE90 at Stafford in July. Mahraid's foal (now a yearling) is a filly by Morrigan Brenin, who is by SPSS Elite sire, the WPCS Sec D Carregcoch Bleddyn. 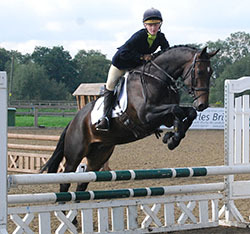 Mr Bojangles (registered as "Billy") was 1st placed in the 6 year old Potential Eventing Pony section and was ridden by Robyn Harris in the dressage and jumping phases and by Sean Roberts in the Championships. 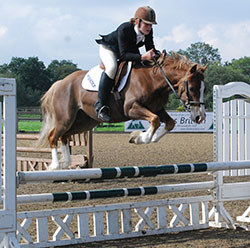 Billy scored one point more than Morrigan Mahraid when the scores were totalled for the dressage and jumping phases, so placed first in the section. 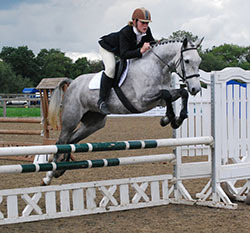 However, judge, Linda De Matteo, asked the top combinations to gallop as part of judging the Championship and felt that, although Billy was a fantastic jumping pony with good paces, when asked to gallop, he didn't show quite as much potential as an eventer as the Champion and Reserve did. 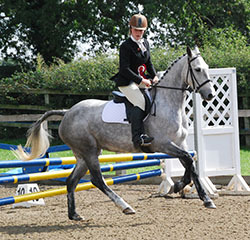 Mr Bojangles is registered with the Lipizzaner National Studbook Association of Great Britain as Billy, but has no breeding recorded although he is listed as British-bred. 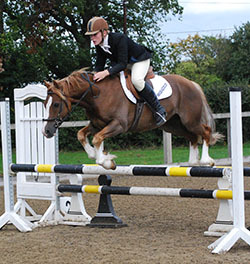 As "Mr Bojangles XI", Billy competes at British Showjumping Novice level and he was also 3rd in the 6 year old Jumping Pony section, having jumped a clear round, he finished only one mark behind the section winner. Click here to view the full section results and here for more pictures. 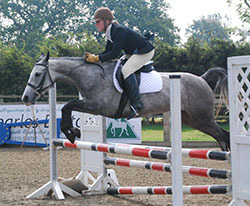 Winner of the 4 year old Potential Eventing Pony section, the part TB (unverified) mare Moonbeam, was another ridden by Robyn Harris, who as well as her own two ponies, stepped in to cover for other riders who had been unable to attend. 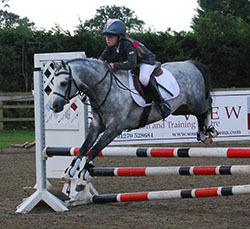 Despite only having ridden Moonbeam once the day before and Moonbeam being very inexperienced, Robyn presented the pony well in the dressage and jumping, with Moonbeam visibly growing in confidence during the jumping round. 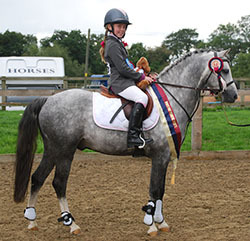 Champion Jumping Pony, Rotherwood Signature and rider Maisey Sloan, proudly modelling their many rosettes! This class was judged by British Show Jumping course builder Gillian Milner and the results of the class were determined on a score basis with 4 points being allocated for each of the 8 fences cleared and then Gillian allocated marks out of 10 for each of Style/Technique, Potential and Temperament (including attitude and ability to learn) to give an overall score out of 62 marks. 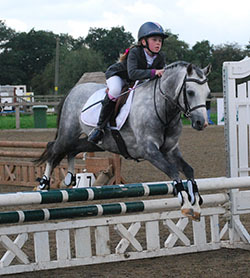 Overall Jumping Champion was the 5 year old, WPCS Sec B and SPSS graded stallion, Rotherwood Signature ridden by 8 year old Maisey Sloan. 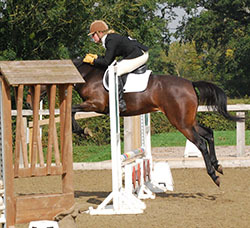 The Jumping judge, Gillian Milner commented on Rotherwood Signature's potential that he "has everything to excel in any sphere". 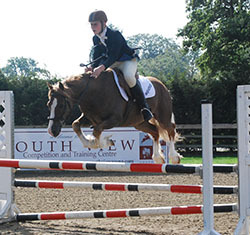 Rotherwood Signature is owned by Trudy Golding of End House Stud and was bred by Liz Mansfield-Parnell at Rotherwood Stud from the same family as "Coco Can", being by Douthwaite Signwriter (WPCS Sec B) out of Rotherwood Half a Penny (by Desabre Streetfighter (WPCS Sec B)). 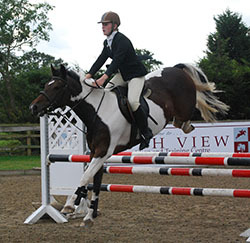 Rotherwood Signature was Reserve Champion at the 2010 SPSS Stallion Grading and, in 2009, he was Reserve Champion in the Scottish Sports Horse 3 year old pony Loose Jumping competition. 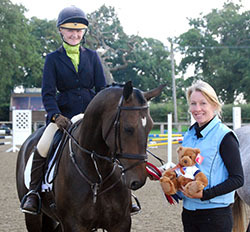 Signature is now competing at Show Jumping with Maisey who was presented with a SPSS Teddy as she was the youngest rider in the competition. 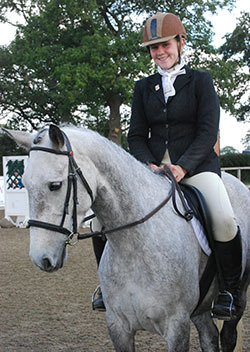 Morrigan Mahraid, ridden by Robyn Harris, showed her versatility by again standing as Reserve Champion. 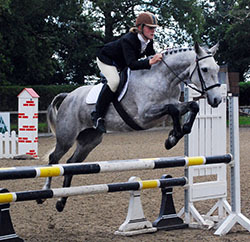 Mahraid won the 5 year old SPSS Potential Show Jumping Pony class last year and as well as British Eventing competitions, has also won British Showjumping Discovery classes and scored 8s in British Dressage Prelim competitions. 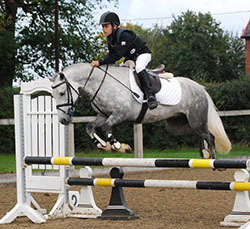 Morrigan Mahraid was bred by owners Morrigan Stud and is a part-bred Connemara by Kilmullen Fionn (Connemara) out of part-bred Welsh Pony Morrigan Lucy Too (by Telynau Pavarotti). 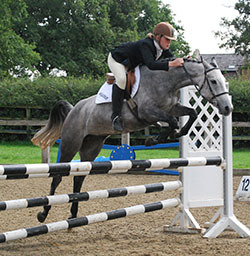 Winner of the 4 year old Potential Jumping Pony section, Moonbeam ridden by Robyn Harris, had earlier won the 4 year old Eventing section. Robyn was so impressed with Moonbeam's attitude and potential that she later bought her at the Auction and will be bringing her on over the winter. TBx (unverified); Bay Mare; 2007. Sire: Not supplied; Dam: Not supplied; Damsire: Not supplied. Country of Birth: Not supplied. Breeder: Not supplied. Owner: Wayne Hughes. Unknown; Skewbald Mare; 2007. Sire: Not supplied; Dam: Not supplied; Damsire: Not supplied. Country of Birth: Not supplied. Breeder: Not supplied. Owner: Wayne Hughes. 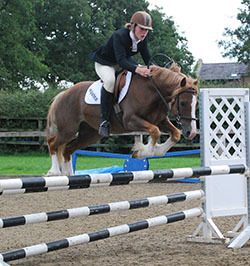 Irish Sport Horse; Brown Gelding; 21-Jun-2006. 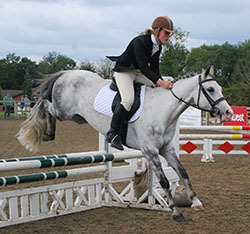 Sire: MJ Fine Art (Irish Sport Horse); Dam: Molly (TB); Damsire: Looking Glass (TB). Country of Birth: UK. Breeder: Mr A E Bewley. Owner: Tracey Woodbine. Part bred Connemara; Dark grey Mare; 13-Apr-2006. Sire: Kilmullen Fionn (Connemara); Dam: Morrigan Sinead (PB Welsh); Damsire: Unknown. Country of Birth: UK. Breeder: Morrigan Stud. Owner: Morrigan Stud. 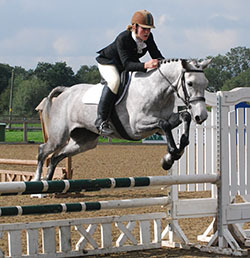 Lipizzaner x (unverified); Grey Gelding; 2005. Sire: Unknown; Dam: Unknown; Damsire: Unknown. Country of Birth: UK. Breeder: Not supplied. Owner: Not supplied. Part bred Connemara; Dark grey Mare; 04-Apr-2005. Sire: Kilmullen Fionn (Connemara); Dam: Morrigan Lucy Too (PB Welsh); Damsire: Telynau Pavarotti (PB Welsh). Country of Birth: UK. Breeder: Morrigan Stud. Owner: Morrigan Stud. 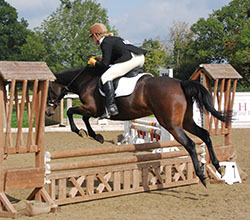 WPCS Sec D; Chestnut Gelding; 2005. Sire: Thorneyside The Governor (WPCS Sec D); Dam: Talhaearn Heulwen (WPCS Sec D); Damsire: Talhaearn Orient Express (WPCS Sec D). Country of Birth: UK. Breeder: Not supplied. Owner: G Davies. 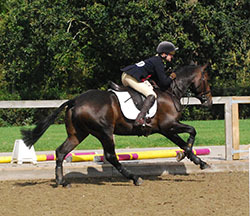 TB x (unverified); Bay Mare; 148cm; 2007. Sire: Not supplied; Dam: Not supplied; Damsire: Not supplied. Country of Birth: Not supplied. Breeder: Not supplied. Owner: Wayne Hughes. 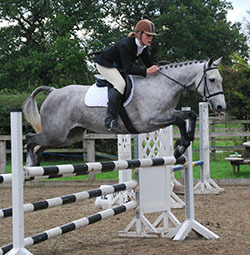 WPCS Sec B; Grey Stallion; 128cm; 19-May-2006. Sire: Douthwaite Signwriter (WPCS Sec B); Dam: Rotherwood Half a Penny (WPCS Sec B); Damsire: Desabre Streetfighter (WPCS Sec B). Country of Birth: UK. Breeder: Mrs E Mansfield-Parnell. Owner: Trudy Golding. Part bred Connemara; Dark grey Mare; 143cm; 12-Apr-2006. Sire: Kilmullen Fionn (Connemara); Dam: Morrigan Sinead (Anglo-Arab); Damsire: Unknown. Country of Birth: UK. Breeder: Morrigan Stud. Owner: Morrigan Stud. 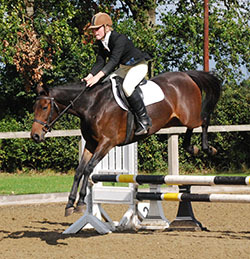 Irish Sport Horse; Brown Gelding; 146cm; 21-Jun-2006. 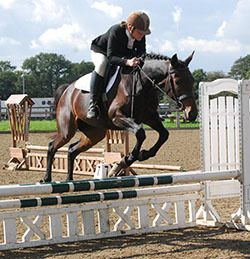 Sire: MJ Fine Art (Irish Sport Horse); Dam: Molly (TB); Damsire: Looking Glass (TB). Country of Birth: UK. Breeder: Mr A E Bewley. Owner: Tracey Woodbine. Part bred Connemara; Dark grey Mare; 148cm; 04-Apr-2005. Sire: Kilmullen Fionn (Connemara); Dam: Morrigan Lucy Too (PB Welsh); Damsire: Telynau Pavarotti (PB Welsh). Country of Birth: UK. Breeder: Morrigan Stud. Owner: Morrigan Stud. 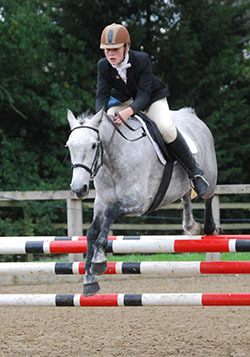 Welsh Partbred; Bay Roan Gelding; 138cm; 02-Aug-2005. Sire: Sydenham New Edition (WPCS Sec D); Dam: Portmead Amethyst (Unknown); Damsire: Unknown. Country of Birth: UK. Breeder: Miss Kate Odey. Owner: Vanessa Queen. 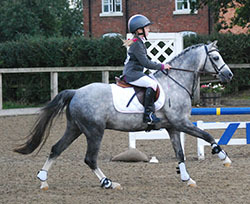 Lipizzaner X (unverified); Grey Gelding; 138cm; 2005. Sire: Unknown; Dam: Unknown; Damsire: Unknown. Country of Birth: UK. Breeder: Not supplied. Owner: Not supplied. 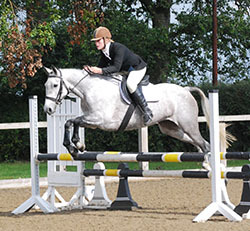 Not supplied; Skewbald Gelding; 148cm; 2005. Sire: Unknown (Trotter); Dam: Nelli; Damsire: Lostock Blue (SHB(GB)). Country of Birth: UK. Breeder: Mr J Mc Sweeney. Owner: Joan Roberts. 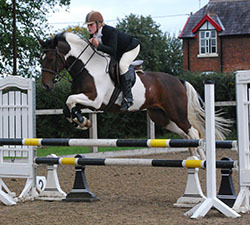 WPCS Sec D; Chestnut Gelding; 138cm; 2005. Sire: Thorneyside The Governor (WPCS Sec D); Dam: Talhaearn Heulwen (WPCS Sec D); Damsire: Talhaearn Orient Express (WPCS Sec D). Country of Birth: UK. Breeder: Not supplied. Owner: G Davies. 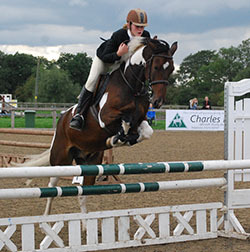 The second placed pony in the 4 year old section, the skewbald mare, Bonny, was ridden by 14 year old Sean Roberts. 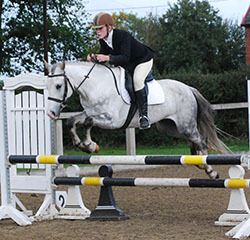 Sean was a late substitute rider, who'd never ridden Bonny before the competition day, nor had he ever ridden a dressage test but he did a creditable job despite Bonny's lack of experience in both the dressage and jumping phases. 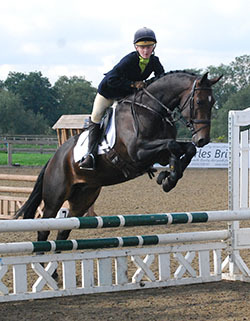 Spice has completed 2 BE90s this year, going clear XC both times. 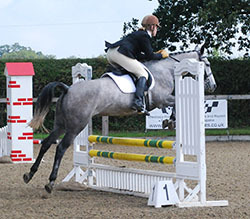 She has been jumping BS since June and already has achieved many clear rounds. 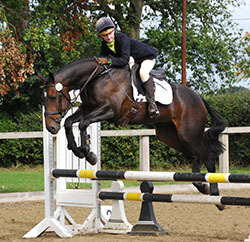 Her sire, Kilmullen Fionn is full brother to FEI Team Event Pony Iratu Varagnac and half brother to Hocki (sire of European Gold Medallist Miami Gold). Spice has had 2 foals, a colt by Minyffordd Democrat (sire of Machno Ramezes - National Elementary Dressage Champion 2010) and a colt by Sarry (sire of Eventing, endurance, show jumping and show ponies). Spice has also won Working Hunter Pony classes. 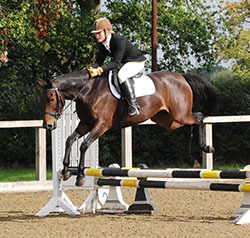 Since being placed 2nd in the 2010 Potential Jumping Pony class (having only started jumping 5 weeks before), General has developed into a brave and agile jumper who is quick around the course while remaining very careful. 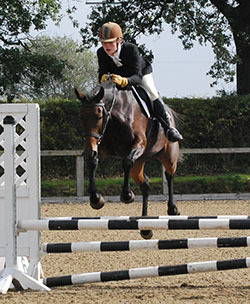 General was been on Pony Club winter teams and has achieved numerous clear at BS up to 1m and was clear without even touching a pole in the Open at the 2011 Anglesey County Show. General's pedigree includes Nebo Black Magic 3 times in the 3rd and 4th lines with Derwen Llwynog and Cipyn Red Flyer also appearing. 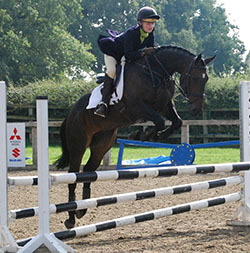 Portmead Amulet has started competing at affiliated jumping with 11 year old Lawrence and is showing great promise. 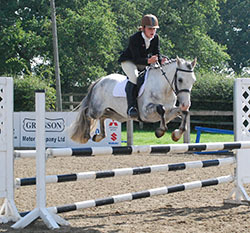 There were beaten into second place by just 0.5 of a mark having jumped a good clear round. 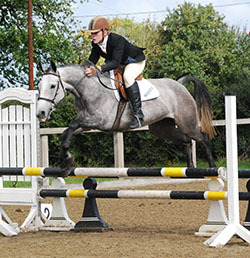 Bred by Kate Odey, Amulet's dam, Portmead Amethyst also excelled in Showjumping. 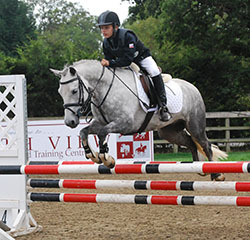 Prince Pearl was 3rd in the 2010 Potential Jumping 5 year old class last year with Robyn Harris. 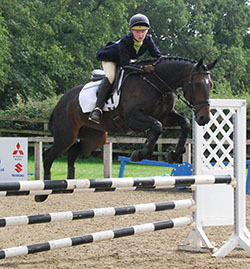 Since then, he has been winning at Discovery level with new rider, Joseph Roberts. Joseph and his mother Jean believe in giving the pony time to mature and find his style, so haven't pushed Prince Pearl his year. Breeder, Mt John Sweeney, has been breeding out of Prince's dam, Nelli for many years and all her progeny have jumping ability and a good temperament. Mr Sweeney took Nelli to Appleby Fair to be covered by Prince's sire (who was a trotter).